Two student entrepreneurs are leading a new cycle. Matt Wilkins, a dean’s fellow and first-year graduate student in the School of Engineering was part of a winning Clinton Global Initiative University team last year, when he and two partners created a sustainable bamboo bicycle. 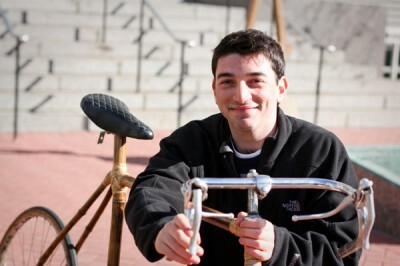 Ten months later, he and 2012 alumnus Chris Deschenes have morphed their brainchild, Panda Cycles, into an organization called Pedal Forward – a bike-sharing program in cities that lack the cycling infrastructure in D.C.
A lifelong cyclist, Wilkins initially sought to create a bike that could help the world. Like the bike-share system Capital Bikeshare, users will pay to use a bike for an allotted period of time. Pedal Forward bikes will include built-in locks and GPS tracking devices, and users can find the nearest available bike using a mobile app. Clinton Global Initiative University 2012 winner and Panda Cycles co-founder Matt Wilkins is expanding his line of bamboo bikes to Pedal Forward, a bike-sharing program aimed at cities without cycling infrastructure. Deschenes said the purpose of the bamboo bicycles is to serve the planet and people, as well as promote conversation about sustainability. After meeting Cincinnati Mayor Mark Mallory in April while dining at President Knapp’s home as part of a Planet Forward symposium, they decided to take the bike-share program to the city, which has struggled to improve its transit system. Wilkins pitched the idea to the mayor and plans to bring Pedal Forward to Cincinnati in two years. 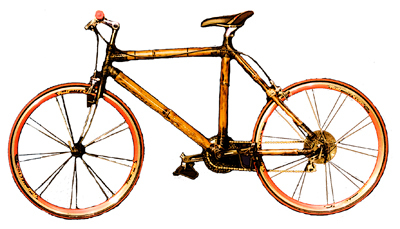 “Bamboo bikes sort of put a light bulb in [Mallory’s] head, saying more bikes in the city is good, and bamboo bikes represent this green, sustainable idea that is a part of his platform,” Wilkins said. Pedal Forward will donate a percentage of the revenue sales from their bike-sharing business to their charity of choice, Bicycles Against Poverty. Bicycles Against Poverty primarily operates in Africa and loans bikes to farmers and entrepreneurs in countries including Uganda. Small business owners pay for the bikes incrementally. They have also teamed with fellow Clinton Global Initiative University participant Marisa Ranieri, a 2012 alumna currently teaching English in Tanzania. A fundraising effort on Pedal Forward’s website will raise money for the Tumaini Fund, which distributes bikes to Tanzanian orphans. So far, sales have raised enough money for 29 bikes. Ranieri said she met Wilkins at the CGIU conference when they were seniors last year. Intrigued by each others’ projects, the two saw an opportunity to join forces. 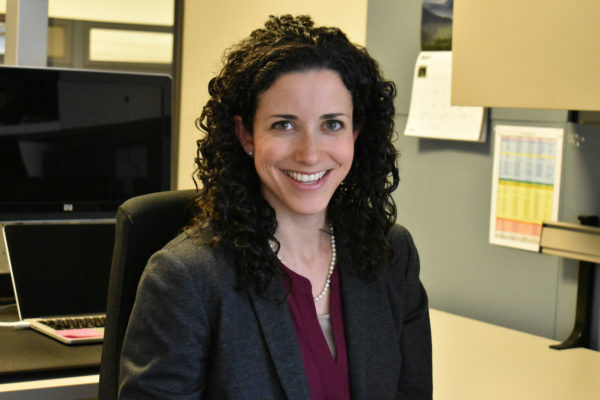 “When I learned that a non-profit organization in the area, the Tumaini Fund, donated bicycles to AIDS-affected orphans in the area where I live and work, I knew I’d found the missing link,” Ranieri said in an email. Wilkins will travel to Tanzania and stay with Ranieri in March to distribute the bicycles. He said he hopes Pedal Forward can expand its bike-share business in the next five years, building up a biking community in cities not yet converted to the eco- and health-friendly form of transportation.